Most squads already have two, if not three, Liverpool players ahead of their trip to St. Mary’s tomorrow. Sadio Mane (£10.0m) is the obvious target for FPL bosses with space for a Reds asset in their squad. Since Gameweek 23, the Senegal star has only blanked on three occasions – scoring nine times and providing one assist over that period. The cheaper Roberto Firmino (£9.2m) has banked 26 points in Liverpool’s last three games. With three wins in their past four league outings, Southampton are in good form. Ralph Hasenhuttl’s side conceded four goals in that period, three of those away to Manchester United in a GW29 defeat. Over that game and wins against Fulham (H), Spurs (H) and Brighton (a), the Saints conceded an average of 15 goal attempts and seven shots inside the box per game. Hasenhuttl’s men also shipped two goals against both Cardiff (H) and Arsenal (a) in Gameweeks 26 and 27. Jurgen Klopp’s title chasers welcome Chelsea in GW34 before a single game away to Cardiff in Double Gameweek 35. That fixture is likely to see wildcarders and free-hitters plump for a minimum of one Liverpool asset despite eight clubs playing twice in the same gameweek. The Merseyside outfit then face Huddersfield (H), Newcastle (a) and Wolves (H) to Gameweek 38. Leicester City striker Jamie Vardy (£9.0m) has scored five goals in five games since Claude Puel was sacked ahead of Gameweek 28, while also providing one assist. Vardy headed in the Foxes’ second at home to Bournemouth last Saturday from a Youri Tielemans (£6.1m) cross. The forward missed his other big chance at the King Power, firing wide inside the box with just Asmir Begovic (£4.3m) to beat. The goalkeeper saved another Vardy effort from inside the area, while the Englishman also saw a shot blocked outside the box. Owned by 6.6% of managers, Maddison has two goals and one assist in the past six gameweeks. A share of set-pieces promotes him over team-mate Tielemans, who as mentioned has two more assists than Maddison in the same period. The Englishman scored a free-kick away to Burnley in GW29, while he has created more than double the amount of chances set up by Tielemans since Gameweek 27. With a trip to relegated Huddersfield on Saturday, Leicester assets are in demand for BGW33 at least. Rodgers’ men then take on Newcastle (H), West Ham (a), Arsenal (H), Man City (a) and Chelsea (H). Tielemans (1.3%) currently has the highest points per game ratio (4.9 PPM) for Leicester, although he has only been in FPL since Gameweek 25. He has a goal or an assist in each of the last 5 PL matches. Callum Wilson (£6.5m) missed a golden opportunity to score in GW32, firing his only attempt straight at Kasper Schmeichel (£5.1m) from inside the six-yard box. Ryan Fraser (£6.1m) had supplied the cross for Wilson’s gilt-edged chance. The striker has now missed 16 big chances this season, ranking third behind Gabriel Jesus (17) and Pierre-Emerick Aubameyang (19). Since returning from injury three gameweeks ago, Wilson has one goal and one assist – both coming as part of an 11-point outing away to Huddersfield in GW30. He spurned a big chance in that clash and another at home to Newcastle in GW31, when the forward failed to post attacking returns. Fraser also bagged a double-figure haul (13) in GW30 but that represents his only score greater than three since GW22. Bournemouth’s first-choice penalty taker Josh King (£6.5m) has three goals in the past six gameweeks. The Norweigan lasted for 73 minutes last weekend after returning from international duty ‘fatigued’. David Brooks (£5.1m) has started all four games since his return from injury in GW29 but has no attacking returns in that period. Burnley kept a first clean sheet since GW23 at home to a weakened Wolves XI last Saturday. Between GW24 and BGW31, they conceded 16 goals. In the last four gameweeks, Sean Dyche’s side have allowed their opponents 50 shots (29 inside the box). The majority of those came in the 4-2 defeat away to Liverpool in GW30. The Clarets’ visit to the Vitality stadium certainly promotes investment in the Bournemouth attack this weekend as they aim to compete with double-fixture assets in GW35. Arsenal travel to Everton on Sunday and go to Watford in GW34, with two legs of a Europa League quarter-final against Napoli to contend with before and after that Hornets clash. The Gunners then take on Crystal Palace (H) and Wolves (a) in DGW35 before ties against Leicester (a), Brighton (H) and Burnley (a). Pierre-Emerick Aubameyang (£10.8m) missed out on Arsenal’s starting XI against Newcastle due to having a temperature. The Gabon striker’s minutes have been patchy since a slight injury in GW26, with just two starts – which both yielded goals – in the following five games. He also began every match between GW10 and GW25. Alexandre Lacazette (£9.3m) has started eight of Arsenal’s last nine fixtures, scoring seven times and providing three assists. He grabbed the Gunners’ second against the Magpies on Monday from an Auba assist, having earlier seen an excellent attempt headed off the line by Matt Ritchie. I mean that is just a phenomenal hit by Lacazette on the turn. Pretty decent clearance by Ritchie as well. Laca has the edge over his strike partner in terms of form, value and recent starts, though Emery’s teamsheet for the first Napoli clash could be the deciding factor for those wildcarding ahead of GW34. Arsenal’s midfield, on the other hand, is a complete minefield in terms of FPL selection. At £6.8m, Henrikh Mkhitaryan is worth monitoring. The Armenian started four consecutive league ties from GW26 on his return from injury, with two double-figure hauls over that period. Aaron Ramsey (£7.1m) has two goals in the club’s last three fixtures but is a BGW33 injury doubt after coming off in the 66th minute on Monday night. In defence, Sead Kolasinac (£5.0m) is the standout fantasy option. The defender has three assists in eight fixtures since GW24 and was denied a fourth by Ritchie’s goal-line clearance at the Emirates. Kola did drop out of Emery’s XI for the trip to Tottenham in GW29 but has started every other match since Gameweek 18. Stationed at left-wing back when the Arsenal manager deploys a three-man backline, the Bosnian should be worth buying for his attacking potential alone. The Gunners have also kept three clean sheets – all at home – over their last six games. 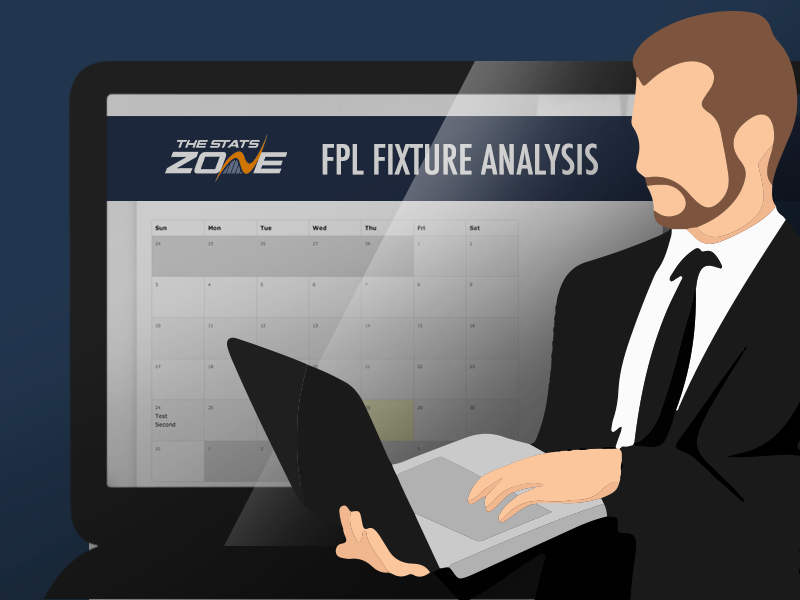 While the visit of Liverpool tomorrow is uninspiring, budget assets from Southampton will be popular enablers for DGW35 fixtures away to Newcastle and Watford. The Saints welcome Wolves in GW34, while taking on Bournemouth (H), West Ham (a) and Huddersfield (H) to GW38. In defence, Jan Bednarek (£4.0m) has played every minute for the south-coast side since Gameweek 16. Yan Valery (£4.1m) has started each of the club’s last five, scoring in GW29 and GW30 from a right wing-back position. Hasenhuttl then switched to a back four for last weekend’s 1-0 win away to Brighton as Jannik Vestergaard (£4.6m) missed out through injury, though the defender returned to training this week. As mentioned the Austrian’s team are conceding a decent amount of shots but have two clean sheets in their last six outings, with the other shut-out recorded at home to Fulham. James Ward-Prowse (£5.1m) has scored three times in that six-game period, twice from free-kicks. The England midfielder has been an ever-present for Hasenhuttl since GW20, with all of his six goals this season scored following the new manager’s arrival. For those stretching the wildcard budget thin, Southampton captain Pierre-Emile Hojbjerg (£4.4m) is nailed on and scored the winner at Brighton after netting in a Denmark friendly over the international break. Danny Ings (£5.4m), who is ineligible to face parent club Liverpool tomorrow, played 66 minutes against the Seagulls on his return from injury. With several other budget forward options, the Southampton loanee may struggle to contend given his very recent return from the sidelines and prior injury record. Chelsea welcome West Ham to Stamford Bridge on Monday, with Eden Hazard (£10.9m) a top BGW33 target following a 14-point haul at home to Brighton last night. But long-term interest in the Belgian and his fellow Blues is lacking, with a trip to Liverpool in GW34 followed by just a single fixture – at home to Burnley – in DGW35. Maurizio Sarri’s team then play Man Utd (a), Watford (H) and Leicester (a) to finish the season. Next week’s fixture analysis will go into greater detail on the clubs without a match this gameweek, but our GW34 wildcard drafts have included all of the below players at one stage or another. For those performing that overhaul on their squads this week, it will be essential to strike balance between those playing and blanking in GW33. I really must remember to load up on their players for double gameweek 35 so they can all blank and disappoint. Well yes and no. It is part of my thinking but I don't really like Brighton's fixtures in GW35-38 and don't want to overload my teams who will be a problem for the run-in. Teams like Wolves, Watford and Saints actually appeal more.